Do seedling strategies have tradeoffs for species performance? Does canopy cover affect seedling dynamics? 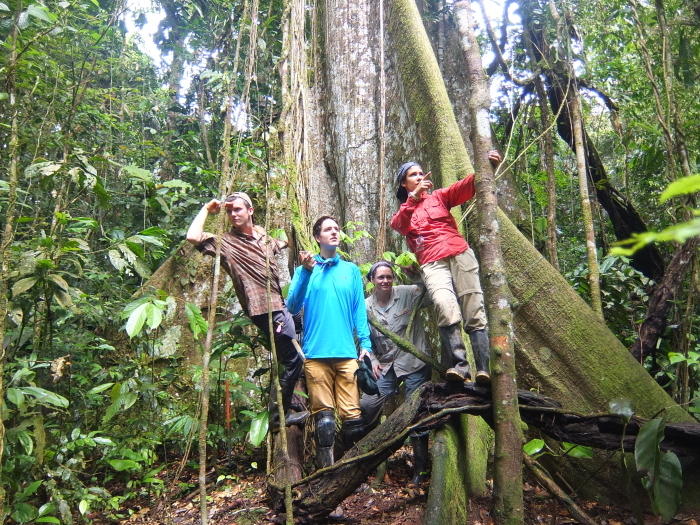 Margaret Metz and her students examine the ecological mechanisms that drive tropical forest dynamics, particularly processes hypothesized to maintain the hyperdiversity of forests in the Amazon. Many hypotheses invoke processes that occur very early in a plant’s life, at the seed and seedling stage, such that the dynamics of regeneration create the template for future diversity of the forest canopy. Dr. Metz has a long-term study of seedling dynamics in Ecuador examining the relative importance of these mechanisms. Together, Dr. Metz and students visit Ecuador to participate in an annual census and use the data to explore independent research questions. 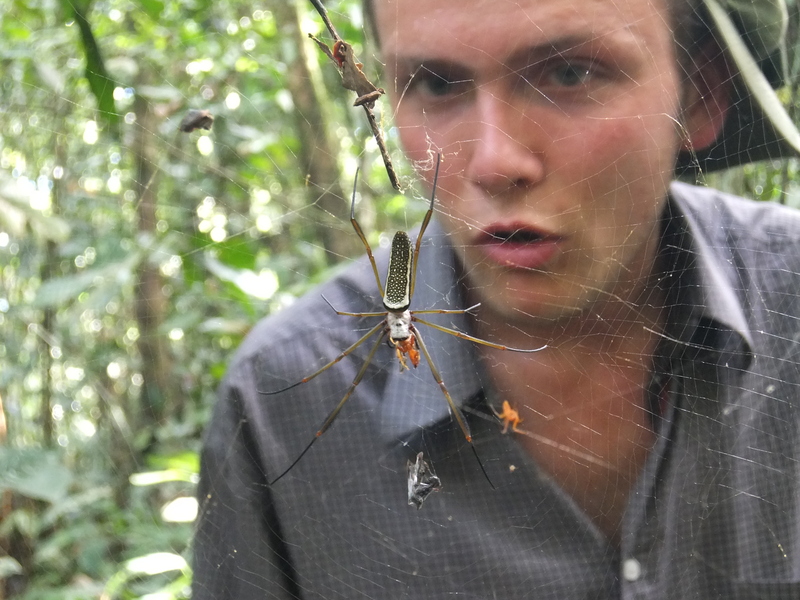 A “Normal” Day working in Yasuni National Park. The Seedling Team, in the field. One of the many ‘friends’ we made in the forest. monkeys or birds overhead. We would work until mid-day, then find a nice log to perch on, or simply squat some more, and enjoy a short break for lunch. We would return to camp either at dinner time, or when rain or high winds forced us to. Evenings were spent eating dinner in the dining hall, exchanging stories with other researchers, enjoying time by a nearby river, entering data, and preparing supplies for the coming day in the lab. The following morning, we would set out and do it all over again, making incremental steps, seedling by seedling, towards gaining a better understanding of how this amazing place works. 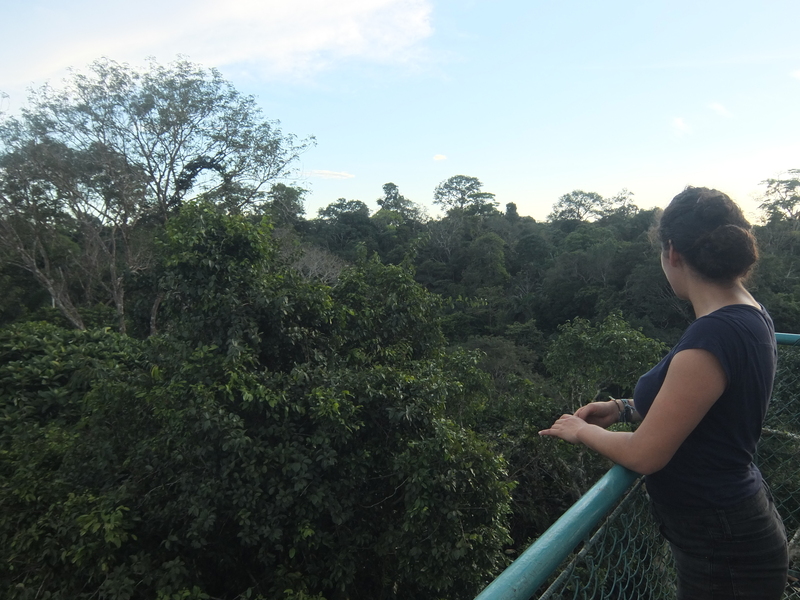 Ina gazing over the canopy of Yasuní, from an observation tower. Do Seedling Trait Strategies Have Tradeoffs for Species Performance? 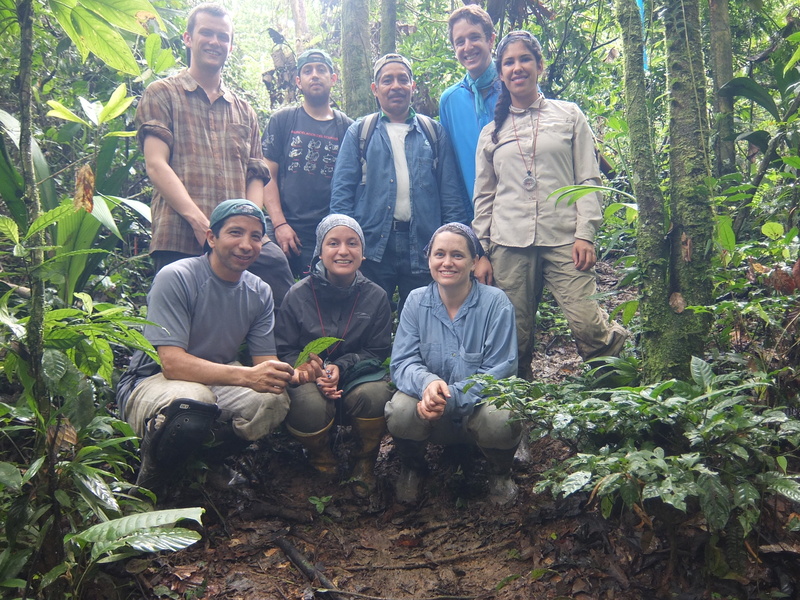 The Metz Lab investigates mechanisms that promote and maintain plant diversity in a hyper-diverse rainforest in Yasuní National Park, Ecuador. Seedlings experience high stress during germination and development; thus, seedling must survive this stage if they are to become established members of the forest community. Functional traits allow seedlings to obtain resources for growth and survival, and variation in these traits among species is important for large numbers of species to be able to coexist together. Therefore, the traits responsible for growth and establishment at the seedling stage may be important in determining how species perform, which in turn may determine the future diversity of the forest. However, not much is known about the functional traits of seedlings or how these traits affect species performance. We participated in the 14th annual census of 600 1-m2 plots that track seedling communities. In this study, we quantified species performance by tracking seedling survivorship and growth one year after recruitment. 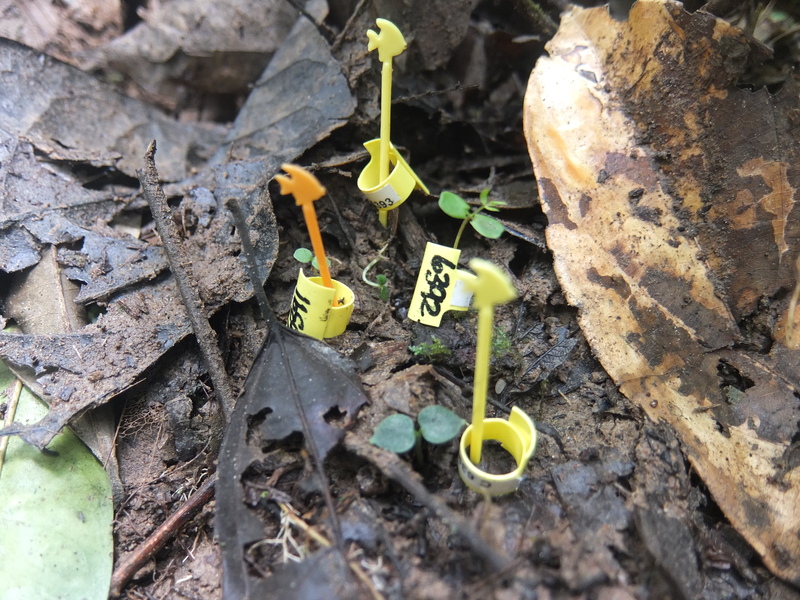 In addition, seedlings of the 28 most abundant species were collected, pressed, scanned, and measured to quantify several functional traits, including cotyledon type, stem density, and specific leaf area. We found that these functional traits vary within and among species, and correlate into functional trait groups indicative of survival strategies. These strategies may be predictive of seedling growth rates and survivorship, demonstrating that functional traits influence seedling performance. These findings have important implications for how seedling functional traits may contribute to the maintenance of tropical forest community diversity. In the future, I hope to include upwards of 100 species in my analyses. I plan to explore if functional trait groups are found to correlate with a spectrum of light microhabitats and how functional traits may affect survivorship of species in these differing light conditions. Quantifying the effects of canopy cover on seedling dynamics in a hyperdiverse Amazonian rainforest. In tropical forests, seedlings must germinate in the low light environment of the forest understory and survive until an opening in the canopy provides an opportunity for rapid growth. Light availability in the understory is thus a critical determinant of forest composition, and species may be better adapted to survival in particular light environments. 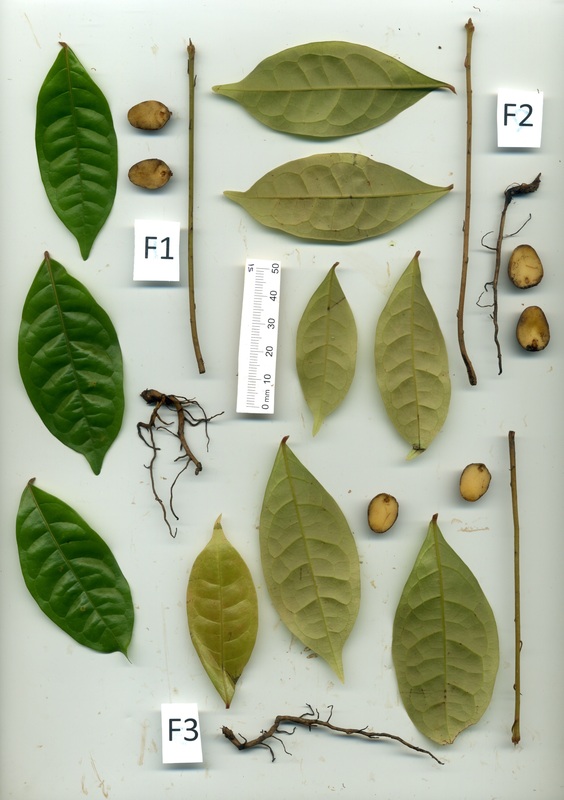 We examined light availability and seedling performance in conjunction with Dr. Metz’s long-term project on the role of seedling dynamics in maintaining diversity in the rainforests of eastern Ecuador. We conducted an annual census of seedling survival in 600 study plots, measuring growth rates and tracking survival of thousands of seedling specimens, and I took 180-degree fisheye photos of the forest canopy above each plot. I analyzed the amount of canopy openness at each site by digitally quantifying the area of open sky. We compared canopy openness to seedling survivorship, growth, and diversity for focal species and for the entire seedling community. The question of species-specific effects is important because it may help us to understand the role that the different physical traits of each group may play in the success of that species in different light environments. So far, canopy openness has not been shown to have a significant effect seedling diversity, and survival and growth are yet to be fully analyzed. We hope to continue our canopy analyses with more sophisticated image analysis to include yearly light exposure at our specific location and for different canopy orientations. 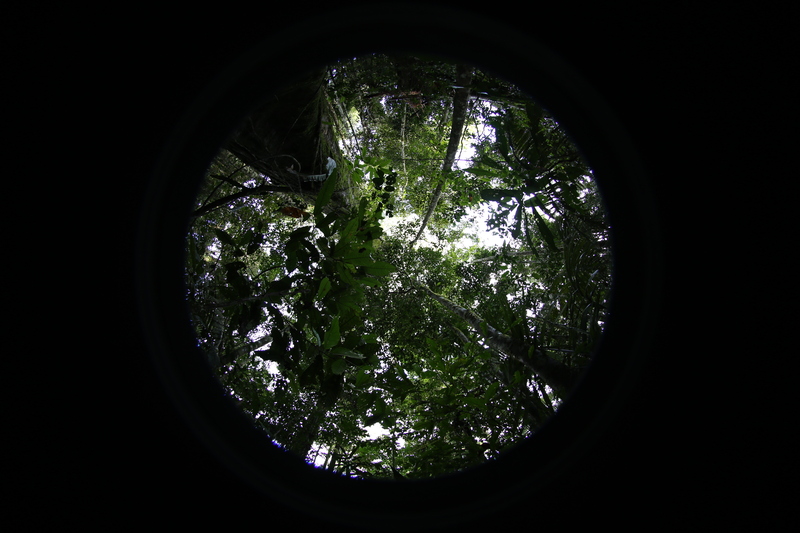 The rainforest canopy is structurally dynamic, and this data set will be added to by future years of photo collection, opening exciting possibilities to view changes in seedling dynamics in relation to change in canopy cover through time. 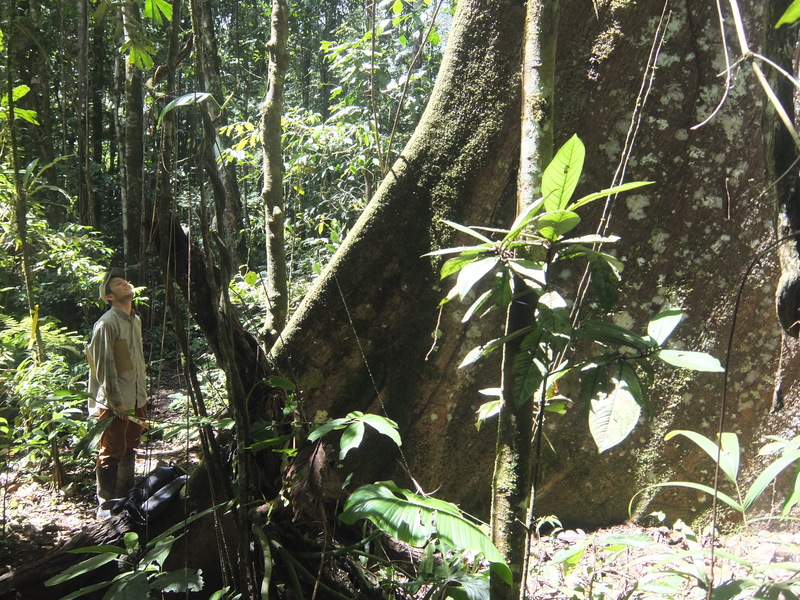 Dr. Metz is a plant community ecologist whose research explores the relative importance of biotic interactions, disturbance, and the abiotic environment in driving forest dynamics and diversity. 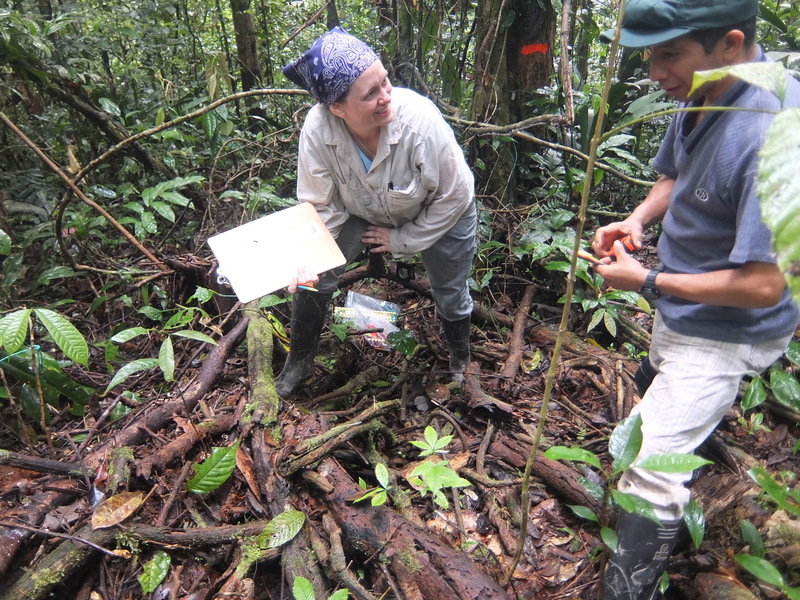 She has ongoing research programs in both temperate and tropical forests.